A set of six dream and fantasy style banner backgrounds for your personal use. Cool skies with clouds, circles, hearts, stars and waves of light. Great for your personal website or blog. 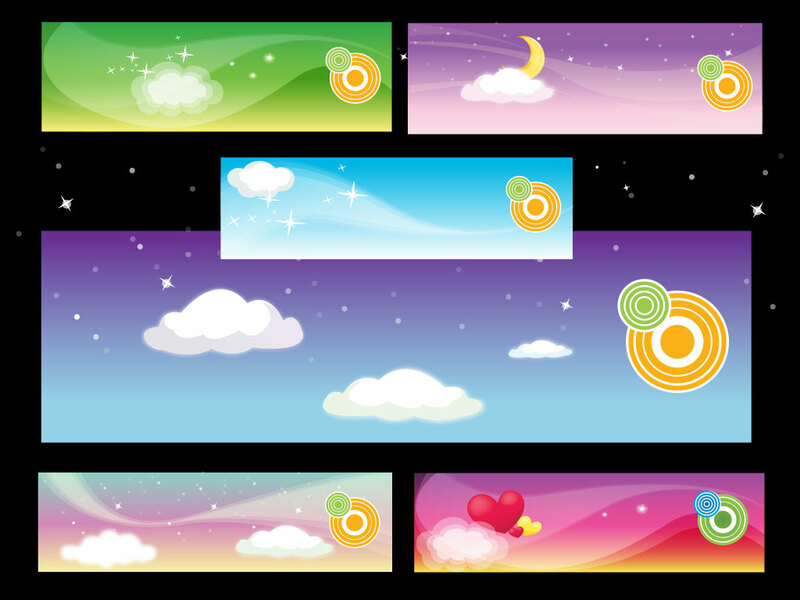 Tags: Background, Banner, Clouds, Dream, Fantasy, Heart, Moon, Stars.